These days the filmmaker Rohit Shetty is basking the success of his last released film Simmba starring Ranveer Singh and Sara Ali Khan in the leading roles. The film did around 230 crores business at the box office in India only, however, after that, the director announced his next film Sooryavanshi with Akshay Kumar. 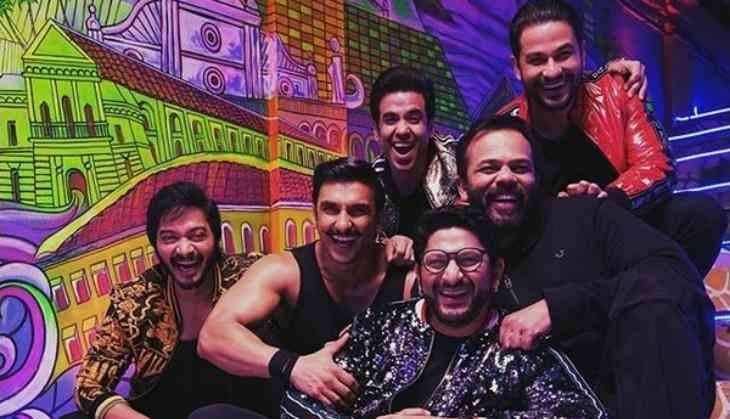 Well, during the promotions of Simmba, in the song 'Aankh Maarey', the team of Golmaal including Arshad Warsi, Kunal Kemmu, Shreyas Talpade and Tusshar Kapoor made a sign of five with their hands. The filmmaker even said that it was the confirmation for the fifth instalment of the franchise. Recently, the actor Shreyas Talpade who is a part of the Golmaal franchise since its second part shared something interesting about Golmaal series. He revealed that Golmaal 5 will only go on floors when the film Sooryavanshi got a release. Currently, Rohit Shetty is working on the script of Golmaal 5, and he expects much more Golmaal 5 after the tremendous success of Golmaal Again. Golmaal franchise stars Ajay Devgn, Arshad Warsi, Kunal Kemmu, Shreyas Talpade, Tusshar Kapoor and Johnny Lever in the leading roles. Shreyas Talpade told that Rohit Shetty has cracked the idea and the film will go on floors when the script of the film will get finalized.